Philip Pirrip (a.k.a. Pip) is an orphan boy raised by his hot-tempered sister Georgiana Maria (referred to in the story as Mrs. Joe ) and her blacksmith husband Joe Gargery. Pip often spends his afternoons in the cemetery where his parents and other siblings are buried. One day he meets an escaped convict who asks him for a file and some food. 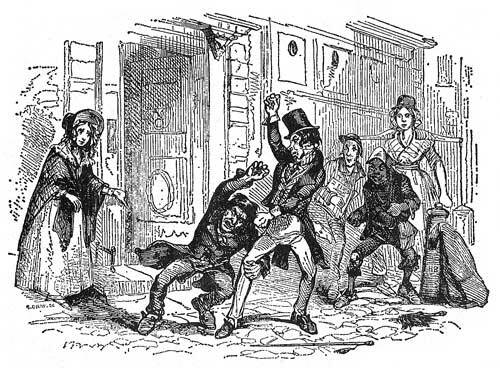 Pip steals the items for the convict, but the latter is shortly thereafter arrested and deported to New South Wales. Pip’s family faces another tragedy when Mrs. Joe is attacked from behind by someone with a hammer; she becomes paralyzed and has to be cared for by her husband and a young girl named Biddy. Nearby, there lives at Satis House a wealthy spinster named Miss Havisham. She always wears a wedding gown and one shoe, and has a ward named Estella. Miss Havisham invites Pip to visit Satis House. He visits frequently, but feels slighted by Estella. Finally, Miss Havisham arranges for him to become apprenticed to Joe Gargery. Pip does not receive this news with joy. He notices that Estella looks down on him for being poor and illiterate. He wants to be more than a blacksmith. One day, Pip is told by a lawyer named Mr. Jaggers that he has great expectations; he has been given a fortune from an anonymous donor. Pip abandons his family and moves in with Matthew Pocket, Miss Havisham’s cousin, to enjoy his wealth among a more sophisticated crowd. 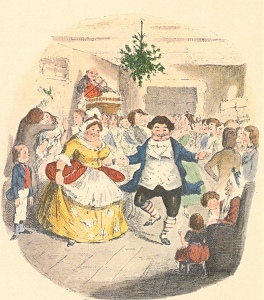 The Christmas season is a great time to read Dickens. His stories are always mysterious and creepy. Miss Havisham is one of the creepiest characters Dickens ever wrote. She has a secret that affects the way she interacts with Pip and Estella. 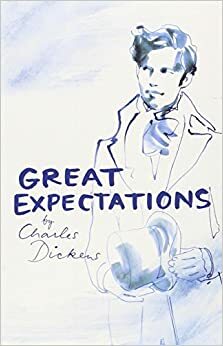 Great Expectations is one of my favorite stories by Dickens. Each character, including the narrator (Pip), is complex. Admittedly, there are parts that drag but even though Dickens says a lot, there are no wasted scenes or characters. Every character and small detail plays an important role in the drama. It was definitely a satisfying read, and one of my favorite books of 2015. Thomas Gradgrind is a schoolteacher in industrial Coketown and a strict adherent of utilitarianism. He and his friend Mr. Josiah Bounderby go to great pains to raise the Gradgrind children on nothing but facts. But not all children are as privileged. Cecilia “Sissy” Jupe comes from quite a different background. Her father is a clown and hardly literate. Mr. Gradgrind is shocked to learn that Sissy does not know the dictionary definition of a horse. When her father runs away for some unknown reason, Mr. Gradgrind decides to raise and educate Sissy himself despite Mr. Bounderby’s disapproval. The latter did not have it so easy when he was growing up. Mr. Bounderby is a prominent banker in Coketown, but he wasn’t born into the lap of luxury. Oh no! He was abandoned by his mother and raised by an abusive grandmother. He ran away from home and lived in the streets. The sewer was his bed. But cold hard facts saved Mr. Bounderby from his misery. He pulled himself up by his bootlaces and became the great banker that he is today. That is the story he tells everyone and not for a minute is he ashamed of telling it. Although the age difference is great, Thomas Gradgrind asks his eldest daughter Louisa to marry Mr. Bounderby. Because sentiments have no place in the Gradgrind household, Louisa has no choice but to accept Bounderby’s proposal. 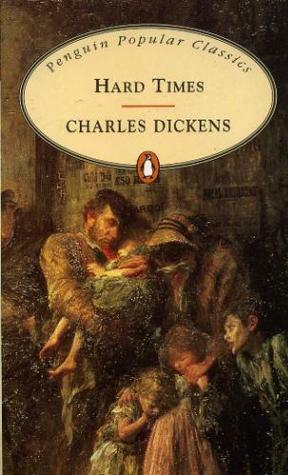 Hard Times by Charles Dickens is a satire on utilitarianism and a critique of the Industrial Age. This is probably my third or fourth time reading Hard Times. Of all the books I have read by Dickens, this one is the best. A common criticism of his works is that the characters (particularly the female characters) are more like caricatures. And while I think that Dickens’ use of caricature is deliberate and a literary motif he employs to expose the dark side of industrial England, I have to agree that his characters aren’t always the most relatable. The villain usually resembles a monster and the female characters are unnaturally sweet. Not so in Hard Times. The characters are all fully fleshed out, and evil is more systemic than embodied in one person. My favorite character was Mrs. Sparsit, Mr. Bounderby’s housekeeper. On the outside she is a proud, proper, and obedient lady, but despite all appearances, she is quite independent from her master. Mrs. Sparsit has a dignity about her that I respect and love. Nearly every chapter begins with a commentary on Coketown, utilitarianism, or one of the characters in the story. These sarcastically humorous commentaries complement and enhance the darker plot line. Of course, Dickens’ prose is as elegant as always. If you like social commentaries and/or want to start reading one of Charles Dickens’ shorter novels, I highly recommend Hard Times. The characters are memorable. Note: Do not purchase the Translatlantic Press edition because the blurb at the back of the book basically tells you the whole plot. Thankfully, this was a reread otherwise I would have been very upset. If you are looking for a book with a well-developed plot and realistically-portrayed characters, do not read Charles Dickens’ The Old Curiosity Shop. I could hardly relate to any of the characters because they were mere caricatures. Mr Quilp is completely demonic; he can hardly be said to be a man at all. Nell, on the other hand, is too innocent and sweet; she is often compared to an angel. It is hard to sympathize with such characters. In The Old Curiosity Shop, Nell Trent is under the care of her grandfather who runs a curiosity shop. However, the grandfather finds himself in extreme poverty due to his predatory friends, profligate relatives and gambling addiction. Nell and the grandfather turn to begging to escape from Quilp and his friends. Along the way, Nell encounters such people as the sculptor of wax figures and puppet show actors. 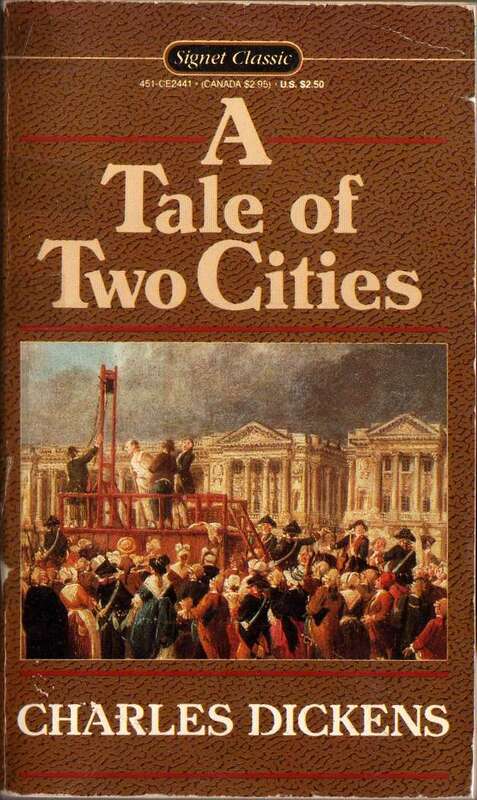 If you have never read Dickens, I suggest you start with his later works such as A Tale of Two Cities. If you are like me and wish to read everything he wrote, by all means, read The Old Curiosity Shop. At times, the novel was actually quite enjoyable. The grandfather’s gambling addiction was described very realistically, and I thought that the Punch and Judy performers were a riot. But you will need a lot of patience and endurance to read this 670 page novel. In my opinion, it is unnecessarily long.There are lots of scenes in this story that do not help move along the plot. I think that Dickens included these scenes to introduce us to the people who live on the outskirts of industrial London. It is ironic though that these people are more realistically -portrayed than the main characters. I can’t say that I hated the book. After all, I did finish it. There are even times that I think that Dickens’ use of caricature serves a purpose in the telling of the story. Maybe the character of Quilp represents all the institutions in industrial England that preyed on the poor, children, and women. What do you think? If you have read Dickens’ earlier novels, do you think his use of caricature serves a purpose or is it just a weakness? Citation: Dickens, Charles. The Old Curiosity Shop (Penguin Classics). London: Penguin Classics, 1972. There once was a gloomy curmudgeon who hated Christmas and the festivities associated with the holiday. Instead, he preferred dark, dreary, cold environments. The grouch even assaulted a boy he ran into who was singing and skipping on Christmas. But one day, the man encountered spirits who showed him visions of his childhood and future. These visions, along with the spiritual encounter, led to the conversion of the curmudgeon. This is the plot summary of A Christmas Carol, but this is also the summary of The Story of the Goblins Who Stole a Sexton from The Pickwick Papers. In The Story of the Goblins Who Stole a Sexton, Gabriel Grub is working as a sexton in a graveyard during Christmas when suddenly, goblins appear out of nowhere, drink his liquor, show him visions, and literally kick him upside the head. 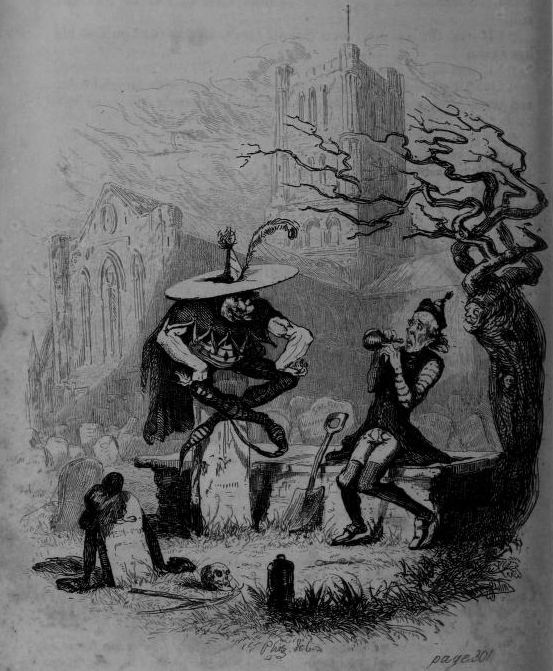 It is probable that Dickens was not pleased with his original story but wanted to keep the same theme. It worked. A Christmas Carol is a more powerful story. While both Grub and Scrooge undergo conversions due to spiritual encounters, the Ghosts of Christmas do not beat Scrooge senseless. Rather, Scrooge learns from the Past, Present, and Future; “I will honor Christmas in my heart, and try to keep it all the year. I will live in the Past, the Present, and the Future. The Spirits of all Three shall strive within me. I will not shut out the lessons that they teach.” Scrooge realizes that the love of money had made him a monster, but that he still has the ability to change his live and alleviate suffering in the world. Grub, on the other hand, learns that the world is not as bad as he thought; “he came to the conclusion that it was a very decent and respectable sort of world after all.” Scrooge has more free will than Grub. He has more freedom to choose the right path. Scrooge’s conversion is not due to a fear of being beaten by spirits. Scrooge’s conversion is therefore more authentic and probably more lasting. Today is Christmas, so I decided to start my blog with a post on Charles Dickens’ A Christmas Carol. I started reading the book last weekend, although I have seen both professional and university performances of the story. Storytelling can take a variety of forms. And the telling of A Christmas Carol is no exception. The story has been retold through plays, live-action films, animated films, operas, and ballets. After reading the book, I can understand why. Dickens’ work lends itself to performance. Ebenezer Scrooge literally watches scenes after scenes of his past, present, and future. Like the spectator of a play, Scrooge witnesses the unfurling of a story. Indeed, A Christmas Carol often reads as a screen play rather than a novella. Dickens offers an in-depth description of such scenes as the Cratchit dinner, Scrooge’s nephew’s Christmas party, the burying of Tiny Tim, etc., but places little emphasis on what cannot be seen (the characters’ emotions, Scrooge’s internal conflicts, etc.). What cannot be seen is inferred rather than thoroughly explored. The most appropriate medium for such storytelling is performance.